ELM CONCERT December 18, 2016. 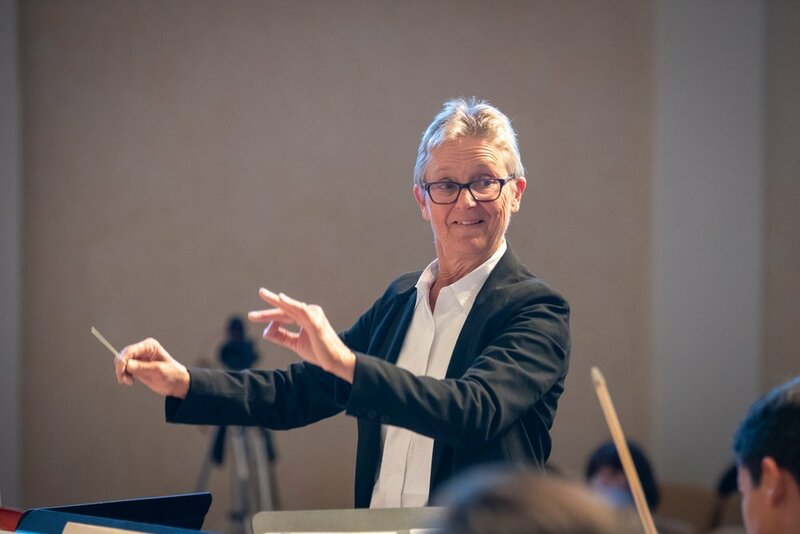 Conducted by Martha Stoddard and Juan Felipe Molano returns as ELM's guest Artistic Director. 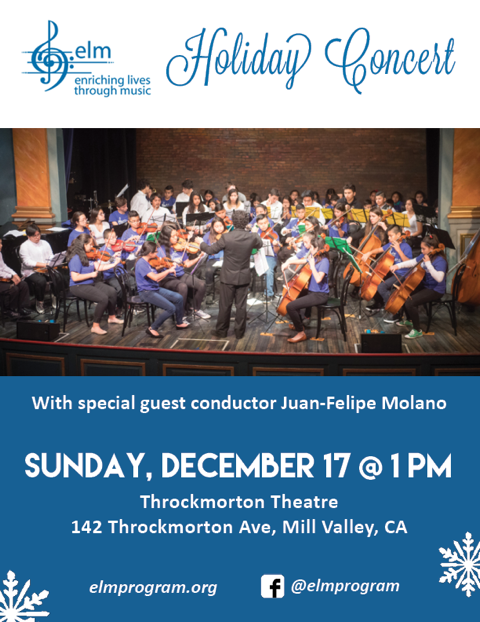 December 18th at 12pm at 142 Throckmorton Theatre in Mill Valley. Local Marin musicians join our ELM students to create a Canal Community Orchestra. Come meet the ELM musicians, faculty and staff. You won't want to miss this! Join the community to celebrate spring and the beauty of music with ELM students. For more information, please contact us at info@elmprogram.org or 415.870.9005. 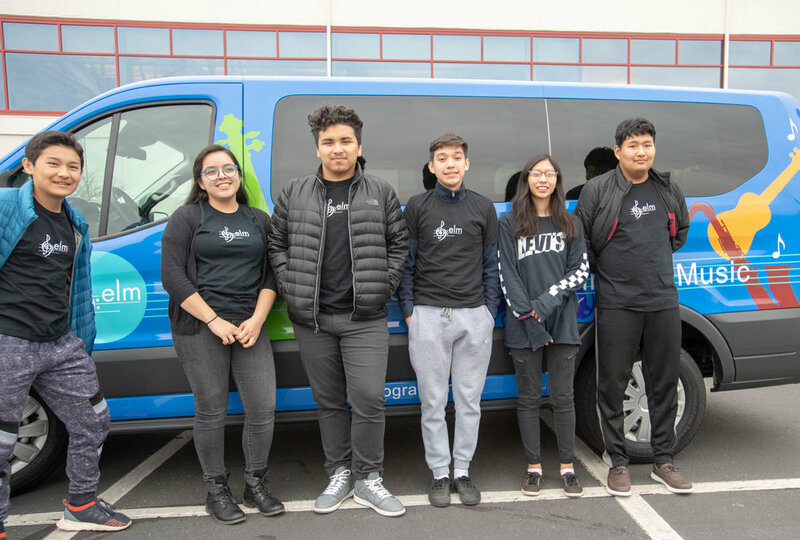 On February 12, 2019 ELM students and staff made a surprise visit and performance to the Marin Community Foundation. ELM received a grant for the funds to purchase a 10 passenger van that we will use to take students to ELM events and other activities. We are incredibly thankful! 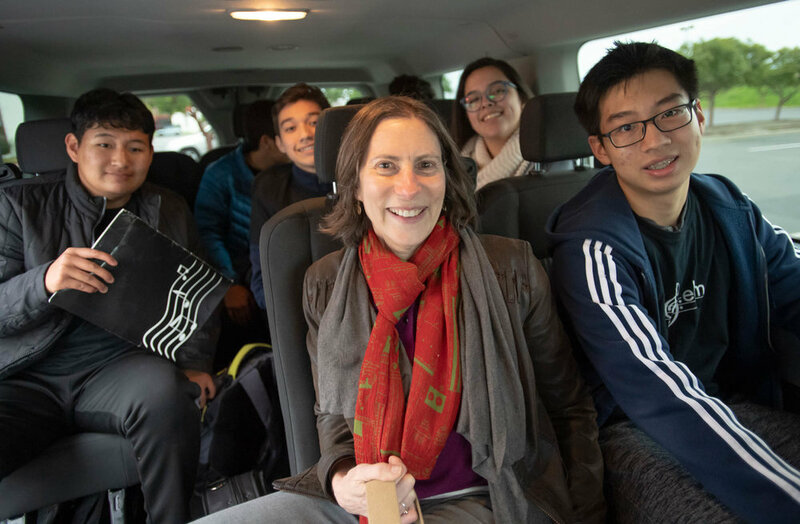 On November 17, 2018 ELM joined with three other Sistema programs for the first North Bay Seminario and side-by-side with the Sonoma State Orchestra at the beautiful Weill Music Hall at the Green Music Center. Our Bartok Ensemble were at the top of their game and performed several pieces on their own before joining with the full orchestra for a rousing finale of two beloved Leonard Bernstein pieces - Mambo and Somewhere. They looked great in their newly ELM shirts donated by our wonderful landlord, David Brown of BNC. Our annual Day of the Dead celebration at our first home, Pickleweed Park. Twenty ELM students sang and performed traditional Dia de los muertos songs before heading to Mill Valley to perform at the Sweetwater for a Marin Charitable Gala. 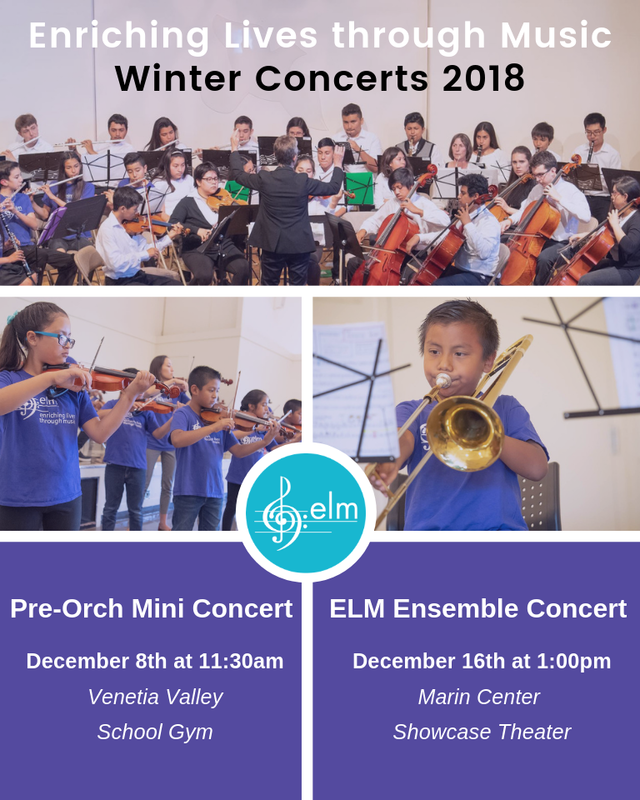 December 8th: This is a special, mini-concert for our new ELM students who are in the Pre-orchestral program. They will give a short presentation in the Venetia Valley gym on Saturday, December 8 at 11:30am. December 16th: Come celebrate ELM’s 3 Ensembles with a special performance by our parent ukulele ensemble. Our string and wind students are excited to to highlight the impressive musical and ensemble skills they have focused on this fall. Marin Showcase Theater, San Rafael, December 16, 2018 at 1:00pm. Summer Concert 2018 - Largest Yet! 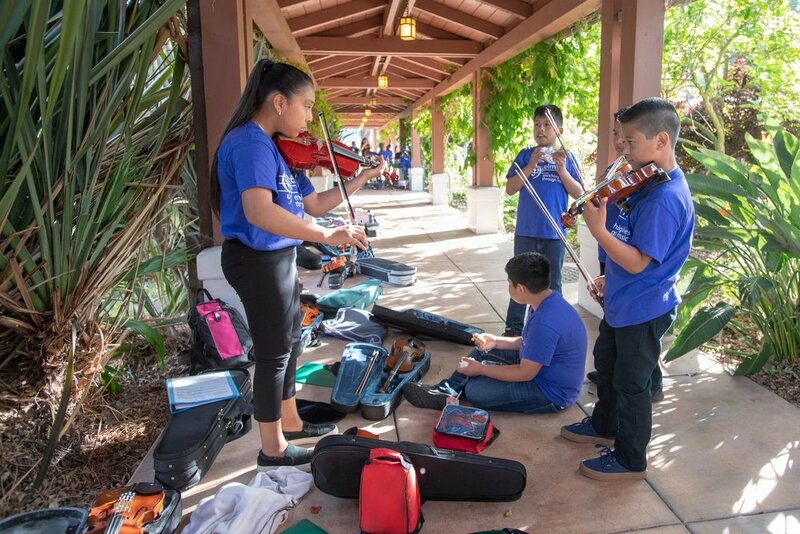 ELM wrapped up its 2018 summer teaching season with a concert at the Pickleweed Community Center in San Rafael on July 25. It was our largest summer concert in ELM history. ELM elementary and middle school chorus members will put on a lively performance at the Italian Street Painting Marin event on Sunday June 24, at 4:00pm. Look for us by the piano! The event runs 10-6 pm all weekend, at 5th and A Street in downtown San Rafael. Read the interview here with Ronnie's Awesome List. Gather at San Rafael plaza at 6:15pm, then march with the community to St. Raphael Church. The inside program starts at 6:45pm in the gym at St. Raphael Church with music from ELM's advanced chamber orchestra playing a variety of Latin and classical favorites. Join us for our annual spring concert! 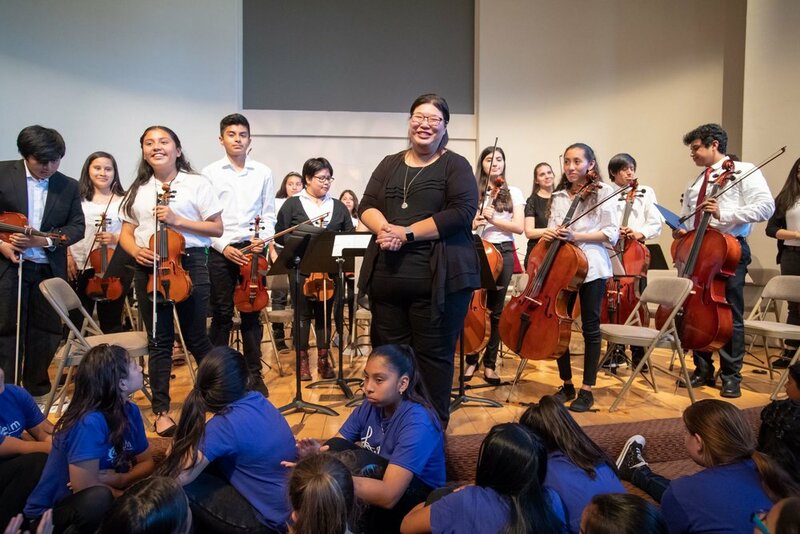 As part of a social justice series, ELM students and 'Til Dawn (from Youth in Arts) will be performing at Angelico Concert Hall, at Dominican University. The free concert starts at 2:00pm with a panel discussion and reception to follow. 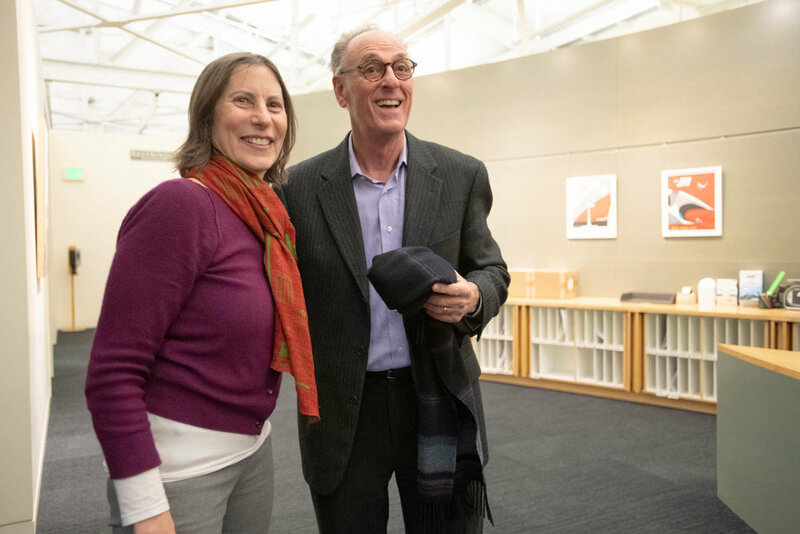 Congratulations to ELM's founder and Executive Director, Jane Kramer, who will be inducted into the Marin Women's Hall of Fame on March 29, 2018. More information here. ELM Featured in Marin Arts and Culture Magazine! ELM was featured in the December 2017 issue of Marin Arts and Culture Magazine. Read it here- Marin Arts and Culture December 2017. Marin Lutheran supports ELM in benefit concert! Festival of the Arts at Marin Lutheran Church hosted a benefit concert for ELM on Sunday October 29, 2017. They presented a Halloween-themed concert with ticket sales to benefit ELM. We are so grateful for their work and dedication to spotlight and support the ELM program. Thank you! October 28, 2017. 3:00pm Play Me, San Rafael will launch Piano #1 in the downtown San Rafael plaza on 4th street. The vibrantly painted piano will mark the start of the lively and unique street piano program, with more pianos and special events to follow. Join us for the official ribbon cutting and musical presentation. Check out the AOL article! Join us for our Winter Concert Celebration, Sunday December 17, 2017 at 1:00pm. We will be at Throckmorton Theatre in Mill Valley, CA. The concert will feature 120 ELM students in a 60 piece Choir, parent ukulele class, and three levels of Ensemble. Thanks to a generous grant from the Jonathan Logan Family Foundation, ELM will have our first real home. Stay tuned for information about our open house! Check back for news so that you’ll be the first to know when and where we will be. Thank you Jonathan Logan Foundation. Our 5-week camp session ended on July 27 with performances by all the camp students. The Canal Alliance in San Rafael hosted our camp and we had a wonderful turnout of ELM families, friends, and Canal Alliance staff at the performance. Photo credit: Tim Porter. 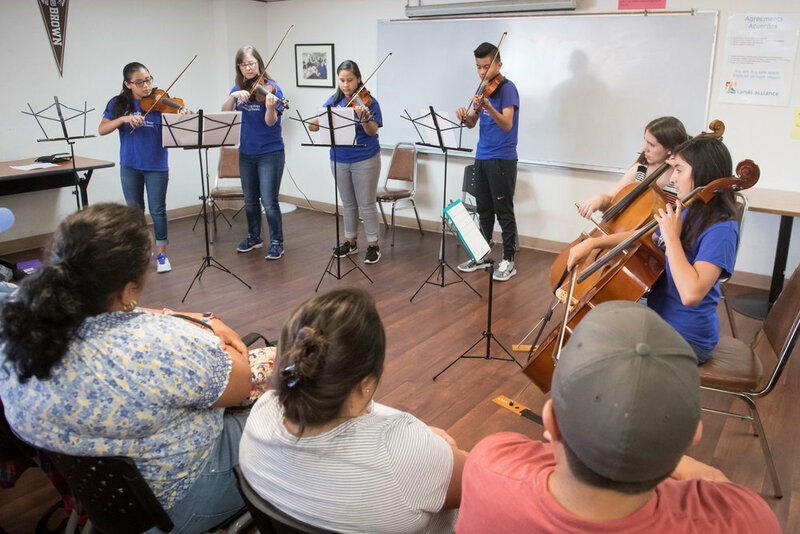 ELM inspires youth to envision and achieve excellence in all facets of their lives through music education and performance. 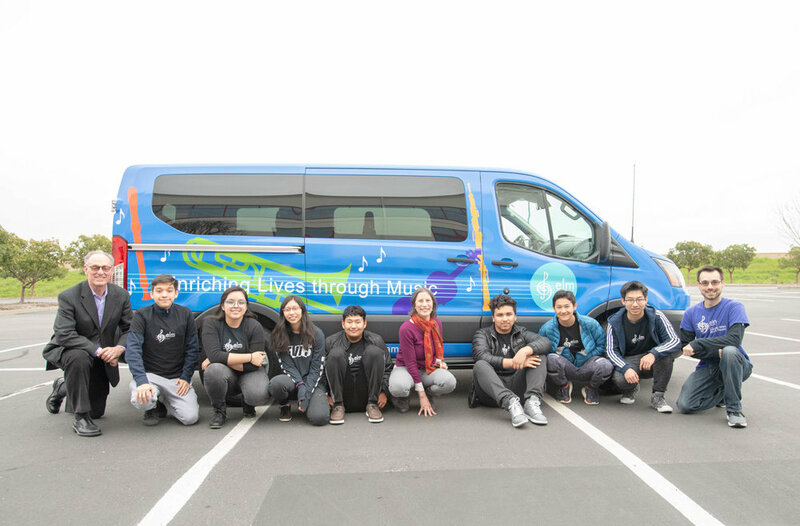 ELM provides group and individual music education for youth in San Rafael's Canal neighborhood. All students start on the soprano recorder, chorus, and Orff mallet instruments through which they learn ear training, music theory, and music-reading skills. After students demonstrate basic music competence and commitment, they are offered opportunities to transition to other instruments. 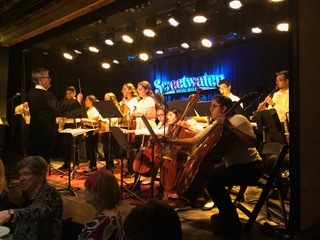 Students have multiple ensemble and performance opportunities. Family participation and community partnerships are key to ELM's success. ELM envisions a center of musical excellence in which classical music and other music traditions are shared and celebrated. Enriching Lives through Music | P.O. Box 1133, Larkspur, CA 94977-1133, U.S.A.